The <u> tag used to represents underline words. <u> tag is defined to represents the text which is slightly different from the normal text, a line under the baseline of the text. <u> tag supports Global and event attributes. <u> tag belongs to Flow content, Palpable Content and Phrasing Content Category. 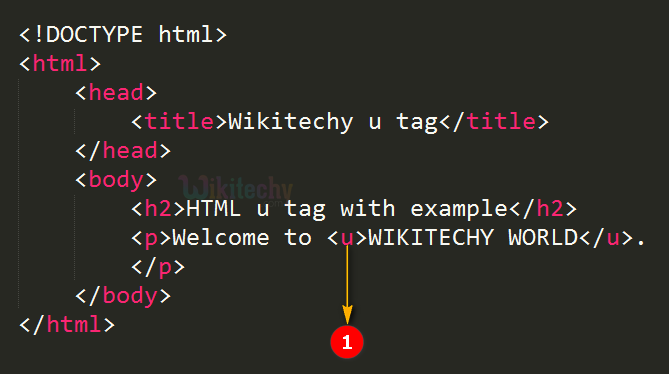 In HTML 4 the <u> tag is deprecated that only used to underline text. In HTML 5 the <u> tag is re-introduced with other semantics such as proper nouns in Chinese or a misspelled text. <u> tag is representing the text that will be displayed in underlined word. 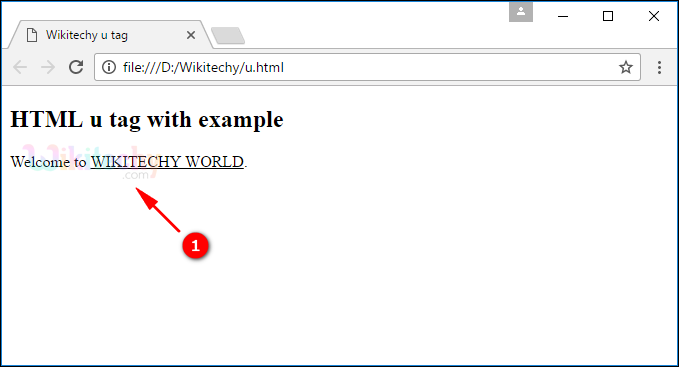 The output shows the “WIKITECHY WORLD” is displayed like underlined text.